Love and Make workshops are the newest Houston-based team-building activity, done in a chic and laid-back atmosphere. Make something you love! Amara, co-founder, first had the idea in 2017, while unable to return home to Houston during Hurricane Harvey for a couple weeks. 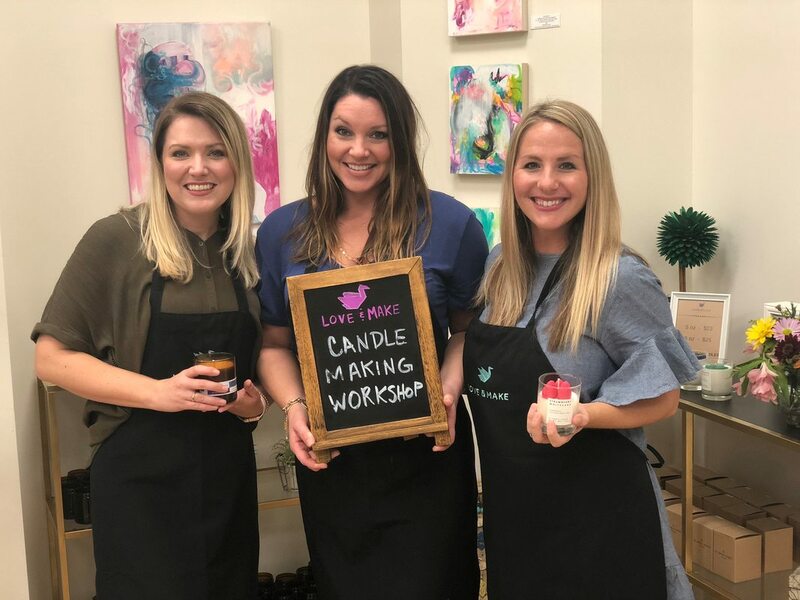 Out-of-state with friends, she kept busy by performing a trial run, candle-making class and had a blast! She then teamed up with sister-in-law and co-founder, Bukola, to hold their first Houston-area pilot workshop during the holidays. By January of 2018, they were officially incorporated! 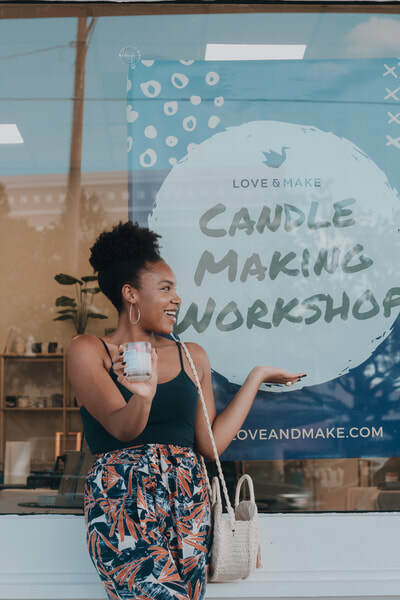 Love and Make has hosted several workshops and special events in the Houston area, and are always looking for new opportunities. Is your function next? 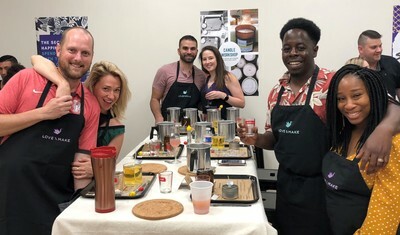 Love and Make offers the chance to step outside-of-the-box and make something unique and memorable with your friends & colleagues! 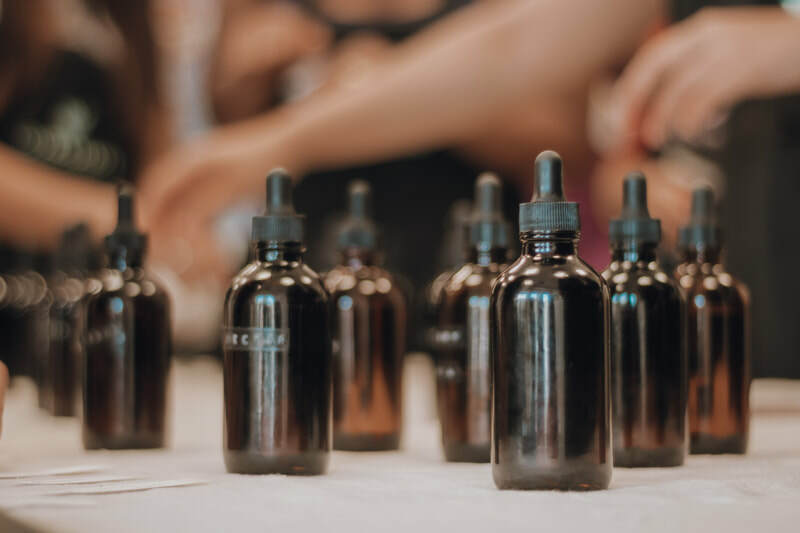 Each student will have a fun, creative experience and leave with a wonderful “smell” on their face! Currently the classes run about 1 ½ to 2 hours, but could vary with class size. All are welcome to come and enjoy an exciting and comfortable environment for celebrations (birthdays/showers/etc), for fellowship/networking, or just to make a gift that is unique, personal, and smells amazing! Workshops are open to the public on Fridays and on weekends at our studio located in the charming Rice Village area. However, we are happy to host private events and parties throughout the week. 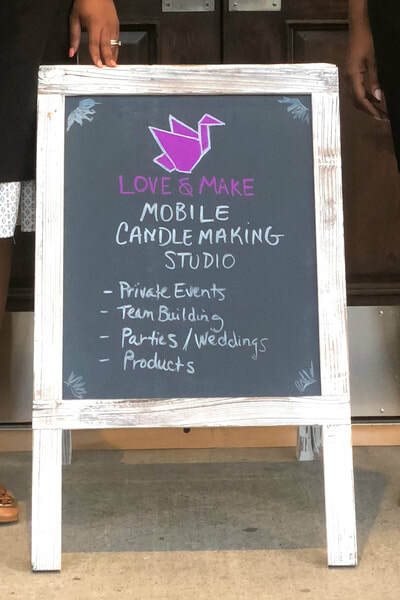 ​Love & Make is also a mobile enterprise and will happily travel to your location anywhere in Houston, or its surrounding areas! 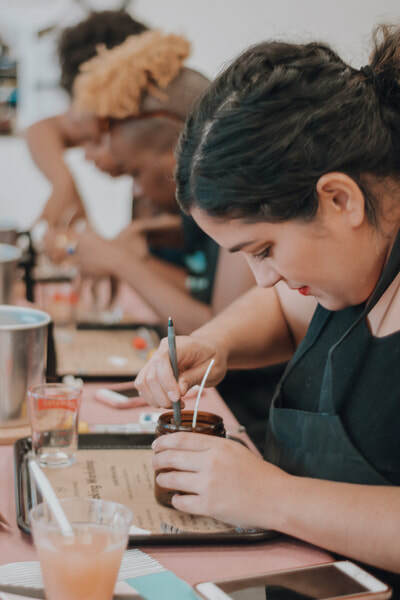 ​Sisters through marriage, Amara and Bukola are both employed full-time outside of Love and Make and reside in the Houston area. Amara is all about crafts and creativity, while Bukola has a passion for the aesthetics and manages the business operations/ Love and Make.